We are the pioneers of tourism in Bolivia and CRILLON TOURS has been designed to meet the expectations of tourists from all over the world; highly competitive service, capable of joining quality and warmth within a respect frame to our cultural and natural heritage. We consider essential the human development of our staff, defined as the most effective and efficient of the sector. We offer untamed, often wild, authentic itineraries. Our main programs and products are designed for a market eager to discover some unique places which combine real adventure with still alive millenary indigenous cultures. With professional personnel, safety policies and own infrastructure & operation we keep the well-deserved tourism leadership in Bolivia. We offer DELUXE AIRSTREAM CAMPERS on UYUNI SALT LAKE, which are a matchless tridimensional experience of freedom, space & solitude. The 3 Deluxe Airstream Campers offer 5-star service, comfort & privacy. 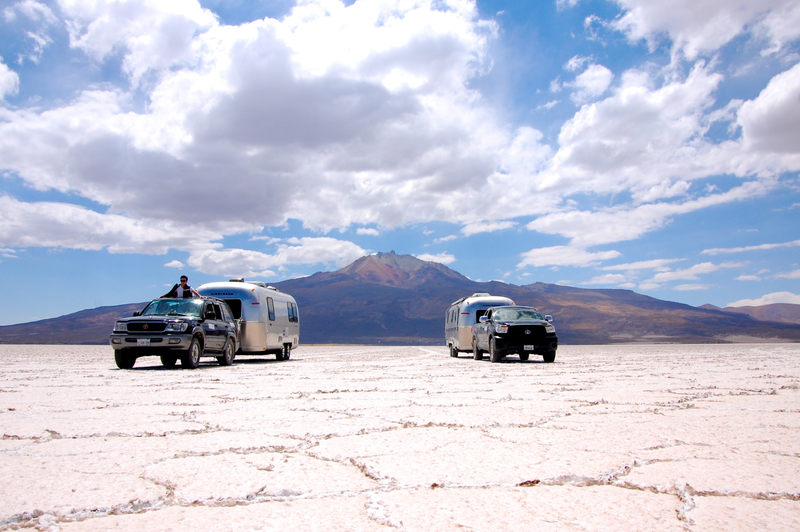 The Airstream Campers are towed by our 4×4 vehicles, specially equipped for passenger’s visits during the day. Visitors count with the support of their own guide and driver for their touring during the day and when they arrive to their Camper, guests meet their personal chef and a concierge. INCA UTAMA HOTEL & CULTURAL RESORT: Located on the most panoramic shore of the lake, this hotel has a different concept designed to introduce guests to the Andes cultures within the best facilities & comfort visitors deserve. We offer unique activities and cultural visits on the same premises, gorgeous sceneries and Hydrofoil cruises on the Lake. “ANDEAN ROOTS ECO-VILLAGE”: Visitors can personally meet the legendary Limachi brothers, builders of Totora reed boats, used in scientific expeditions. The Andean Roots Eco-Village shows our visitors the ancestral traditions of the daily life of the Aymaras. A joint project with our indigenous neighbors of Huatajata. Enjoy a cross cultural experience with our neighbors, on their artisans’ workshops and displays. “ALTIPLANO MUSEUM”: With a state of the art audio system to guide visitors through the cultures that developed around Titicaca Lake. “MYSTIC WORLD OF THE KALLAWAYAS”: A night experience where visitors can learn about the natural medicine of these mysterious healers of the Andes. Our Kallawaya welcomes our guests with a fire ceremony while casting coca leaves to forecast their future. “ALAJPACHA NATIVE OBSERVATORY”: Visitors learn from the wise Andean Cosmo vision. POSADA DEL INCA ECOLODGE: Guests take part in a soft 45-minute llama trek on Inca Trails, accompanied by a pack of haughty llamas, until they reach the “Posada del Inca Eco-Lodge.” Located at the top of Sun Island, this charming and cozy Ecolodge, is one of a few gifted places in the world where you can still breathe the authenticity of the unspoiled nature, where guests can enjoy a permanent dialog with nature. For transportation, we offer Titicaca Hydrofoils. We offer 7 Hydrofoils that assure visitors a smooth, safe, panoramic and comfortable visit to the main highlights on the Sacred Lake. A modern and complete navigation system, updated technology and a permanent overhaul, make Hydrofoils the most reliable crafts to cross and explore the Mystic Lake of the Incas. The only vessels with international safety certification on Titicaca Lake. We also offer charter options for groups. Our primary markets are the United States, Western Europe, and Australia. Our primary audiences are professionals and executives, as well as retired people with high purchasing power. Bolivia is not a destination of mass tourism and most passengers have a high level of education, all of them with an adventurous spirit. Some of our soft- adventure programs are designed for those people who like to feel total freedom during their voyage in Bolivia, from the highlands to the tropics. We have strong safety policies with a 24/7 emergency department and superior emergency equipment for our passengers. 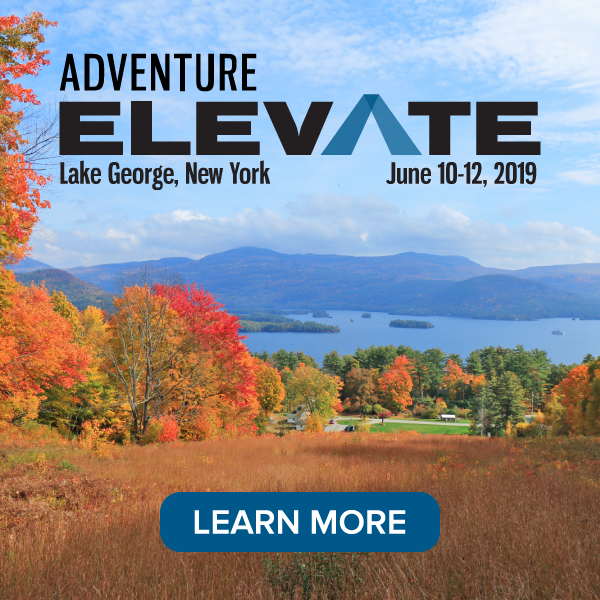 We joined the ATTA to connect with the adventure travel community. Bolivia offers the most spectacular sceneries and adventure possibilities in the region. How much is an Airstream tour for 2 people that does not include transport to Uyuni?